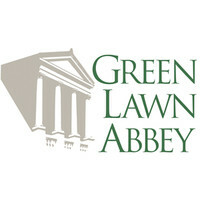 It is the mission of the Board to restore Green Lawn Abbey to its status as a stunning architectural gem, operate the Abbey again as a mausoleum where life is celebrated through art, architecture and history. Our vision is that the Abbey and its grounds will be a lovely destination, known for its elegance, array of quality programs and activities, and accessible to all. Green Lawn Abbey is central Ohio’s premier historic mausoleum. It is a magnificent yet quietly elegant building in which individuals and families can purchase space for interment of cremated remains. When purchasing a niche in the Abbey, you purchase more than a space. You become part of a legacy that began in 1927 and will continue far far into the future. You also become part of a community that keeps and embraces the personal histories of individuals interred there while celebrating the beauty and wonder of life today. Words cannot describe Green Lawn Abbey, you must experience it. We look forward to you joining us to do just that.